Chantix is kind of medicine that help people to quit smoking. It is a prescription medication that, along with support, helps adults 18 and over stop smoking. 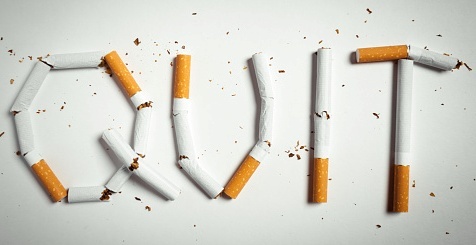 It is considered helpful to join quit-smoking support programs or counseling during your quit attempt. It is also possible that you might slip up and smoke while taking Chantix. If you do, you can stay on Chantix and keep trying to quit, as it is quite normal. While using Chantix, some people have had changes in behavior, hostility, agitation, depressed mood, suicidal thoughts or actions. Such kind of reactions can take place at different stage while using Chantix, like some people had these symptoms when they began taking it, and others developed them after several weeks of treatment or even after stopping it. The side effects of Chantix can be truly dangerous for the patient as well as the people around him.The U.S. Food and Drug Administration (FDA) warns that people who are taking Chantix and who experience any serious or unusual changes in mood or behavior or who feel like hurting themselves or someone else should stop taking the medicine and consult the doctor right away. It is also the responsibility of friends or family members that if they notice these changes in behavior in someone who is taking Chantix to quit smoking, should tell the person their concerns. In addition to mood swings, some people had seizures during treatment with Chantix. Most of such cases happened during the first month of treatment. If you have a history of seizures,tell your doctor at very first day.If you have a seizure during treatment with Chantix, in this situation, stop taking Chantix and contact your healthcare provider right away. Alcohol can also be harmful during treatment as your ability to tolerate alcohol can be low during treatment, so it’s better to decrease the intake of Alcohol. Some most common side effects of Chantix include nausea (30%), sleep problems, constipation, gas and vomiting. If these side effects bother you or don’t go away, tell your doctor. Patients may have trouble while sleeping, vivid, unusual or strange dreams, but these are some, you should expecting. Be careful while driving or operating machinery until you know how Chantix may affect you. Agitation, hostility or depression or you develop suicidal thoughts as well as actions, anxiety, panic, aggression, anger, mania, abnormal sensations, hallucinations, paranoia or confusion are also some common side effects of Chantix. If you experience some of them, stop taking Chantix and call your doctor right away. If you have any history of depression or other mental health problems, then tell your doctor right after his prescription, as these symptoms may worsen with Chantix. Serious allergic or skin reaction might be there while using Chantix. Some people can have serious skin reactions, some of which can become life-threatening, such as swelling of the face, mouth, and throat that can cause trouble breathing. Some others are rash, swelling, redness, and peeling of the skin. If you have these symptoms or have a rash with peeling skin or blisters in your mouth, then get medical attention immediately. Before starting Chantix, tell your doctor if you have a history of heart or blood vessel problems. In addition, if you have new or worse heart or blood vessel symptoms during treatment, you need to tell your doctor. Chantix may be linked with a small increase in risk for heart problems, including heart attack. If you have cardiovascular disease symptoms that are new or getting worse, such as chest pain or pressure, shortness of breath, calf pain when walking, or sudden onset of weakness, numbness, or difficulty speaking. Get emergency medical help if you have any of them. It is also important that while taking Chantix, other quit-smoking products should not be taken. If you have kidney problems or get dialysis, tell your doctor, you may need a lower dose of Chantix. If you are pregnant or plan to become pregnant then it is a must to tell your doctor, if you are prescribed with Chantix. If you take insulin, asthma medicines or blood thinners, you may change the dose as such medications may work differently when you quit smoking. Chantix is not addictive. Tell your doctor about side effects that bother you or that do not go away. It normally happens that you have started taking Chantix about a week before you plan to stop smoking. And you start noticed that you do not get the same satisfaction from cigarettes during that week. Try not to increase your smoking to overcome this.